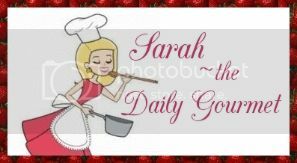 The Daily Gourmet: Happy (belated) New Year! Where has the time gone? We are already one week into the new year, and I must say December was filled with much excitement for me! I FINISHED my Associates degree and I'm excited for what this year holds! Before I start my January blog, let me stop and show off one of my most fav December recipe finds for 2015. It's a dairy free chocolate pudding recipe and it is lip-smacking delicious!!! The best part, it uses coconut sugar! Coconut sugar, unlike granulated sugar, has trace amounts of vitamic C, potassium, phosphorous, magnesium, calcium, zinc, iron and copper...plus it ranks lower on the glycemic index! It's such a FAST pudding to make also! I have made this on my stovetop, but I also thought "will microwaving work"? Well there was only one way to figure that out, and so I decided to give it a whirl (pun intended). I started my pudding out on three minutes, stopping at every 1 minute interval to stir it up. The verdict? The pudding thickened wonderfully!!! I dressed my pudding up with whipped cream and chocolate chips, but this pudding is equally yummy without it! I have made this pudding around 10 times now, and I have no guilt about eating it either! Word of warning...it only serves two people, or one (if you're being greedy! ).